STUNNING LAKE VIEW HOME THAT IS LOADED WITH UPGRADES AND UNIQUE FEATURES! Definitely not your typical cookie cutter home! Over 2100 Square feet under air with 3 bedrooms, 2 full baths, plus an attached 2 car garage. This is one of the largest single story floor plans that this community offers and it's perfect for entertaining or those just looking for extra space. ENORMOUS great room with wood plank tile, tray ceiling with recessed lighting and CROWN MOLDING. French doors lead out to the lanai where you can sit, relax and enjoy the beautiful LAKE VIEW. The oversized, eat-in kitchen boasts GORGEOUS solid wood cabinets, Corian countertops, GAS STOVE, center island, large breakfast bar and an abundance of counter space for cooking! The master suite has wood laminate flooring, tray ceiling, dual sinks, walk-in shower, garden tub, plus a HUGE walk-in closet! The guest wing has a pocket door that can be closed off from the great room to offer privacy for everyone! Generously sized guest bedrooms, large laundry room with storage closet! Hurricane shutters included. Screened front porch and a FENCED area in the backyard that is perfect for your fur babies! 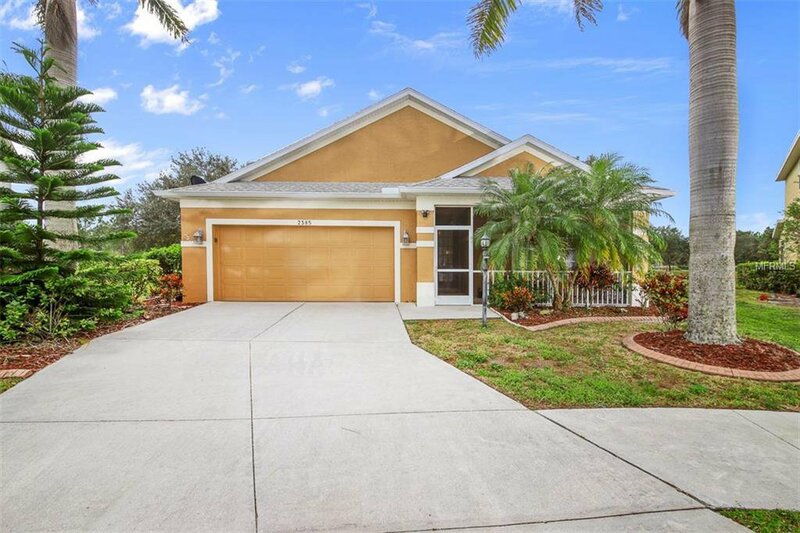 Situated in the Lakeside Plantation community. Just a quick stroll to the clubhouse and recreational facilities. Amenities include a large heated swimming pool, hot tub, tennis courts, fitness center and so much more! This is one of the RARE homes in the community that is NOT PART OF THE HOA - No HOA fees - but you still have access to all of the amenities. Listing courtesy of RE/MAX ALLIANCE GROUP. Selling Office: OUT OF AREA REALTOR/COMPANY.